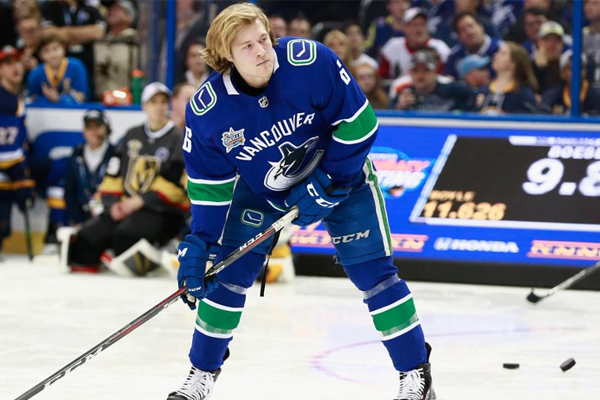 Vancouver Canucks rookie forward Brock Boeser had quite the All-Star weekend. On top of being named the tournament’s most valuable player he left Tampa with quite a haul. Boeser won the accuracy shooting challenge, was part of the tournament-champion Pacific squad, and was named MVP, all of which left him with an extra $551,000 in his pocket. $10,000: Bonus given to all NHL All-Stars. $25,000: Prize for winning Saturday’s accuracy shooting challenge. $91,000: Boeser’s share of the $1 million prize presented to the winning team. $212,500: Bonus from his entry-level contract for being selected to the All-Star Game. $212,500: Bonus from his entry-level contract for being named All-Star Game MVP. A 2018 Honda Clarity Plug-In Hybrid for winning MVP. Boeser recorded the game-winning goal for the Pacific Division in the semifinal round, and followed it up with a goal and an assist in the finals. He will now be returning to Vancouver to pursue the Calder Trophy, NHL’s rookie of the season award.